WARREN, NJ, February 9, 2017 — Retired professional basketball player Brian Robinson has joined InterperformancesUSA (IPZ) as a consultant for its basketball group, the company announced today. Robinson competed overseas for teams based in Portugal and Brazil from 2005-2008. After playing two seasons in Portugal with second division Atletico and first division club Belenenses, Robinson played his last professional season for Sardanha in Brazil. Before taking his talents abroad, Robinson found major success during his collegiate career at Assumption College. He stands as the school’s fifth all-time leading scorer (1,907 points) and rebounder (1,027 rebounds). Robinson also received his Bachelor’s Degree in Psychology and English from Assumption. Since the conclusion of his playing days, Robinson has kept physical fitness at the forefront of his career. He is a certified coach in strength and conditioning, personal training, and nutrition (level II), among other things. Robinson’s dedication to helping those–especially aspiring professional athletes–who surround him is unmistakable. About Zito Partners: Zito Partners builds, energizes and defends brands. A boutique firm representing a select group of clients from a range of industries, Zito Partners believes in a “ready, aim, fire” approach – understand the client…develop the appropriate strategy against the key target constituencies…and execute against the plan. And through its strategic alliance with Ketchum, Ketchum Zito Financial, Zito Partners is assisting additional clients with their financial communications needs. For more information, visitwww.zitopartners.com. WARREN, NJ, February 8, 2017 — Jack Griffin, a central midfielder who made an impact for the Missouri State University Bears since his freshman debut, has signed with InterperformancesUSA (IPZ), the company announced today. The Beverley, England native was a mainstay in the Bears’ lineup playing in 71 of the Bears’ 73 matches during his tenure. Jack is known for his leadership and as captain his senior season, he led the team to a successful campaign. Griffin compiled numerous honors beginning in his freshman year when he was named to the Missouri Valley Conference All-Freshman Team. The following season, Griffin received an All-MVC Honorable Mention. In 2015, he was the only Bear to be named to the All-MVC First Team and he capped off his senior campaign in 2016 with All-MVC Second Team honors. Griffin was also selected to the All-West Region Third Team twice, in 2015 and 2016. Watch Griffin’s highlights from 2016 here. WARREN, NJ, February 7, 2017 – Randy Reed, a former standout at the University of Nebraska Omaha, and current professional basketball player competing overseas, has chosen InterperformancesUSA (IPZ) for representation, the company announced today. Reed plays for Jeunesse Sportive d’El Menzah in Tunisia in the top tier of Ligue 1. Reed has had three 30-plus point games this season, with a career high of 34. The St. Louis, MO, native stands at 6’6, and plays both the guard and forward positions. Prior to signing his professional contract in late September 2016, Reed was a spark for the UN Omaha Mavericks, shooting 51 percent from the field and 76 percent from the stripe during his senior campaign. In the 2014-2015 season, as a junior, Reed transferred to Omaha from St. Louis Community College. He was appointed to the National Association of Basketball Coaches Honors Court and was named to the Summit League Academic Honor Roll. Before becoming a Maverick, Reed earned Third Team All-America Honors from the National Junior College Athletic Association in the 2013-2014 season playing for St. Louis Community College. WARREN, NJ, February 2, 2017 – Jeff Curtin, previously the managing director of InterperformancesUSA’s (IPZ) soccer group, will add responsibility for the day-to-day management of the firm, effective immediately. Curtin will also remain the managing director of the soccer division. 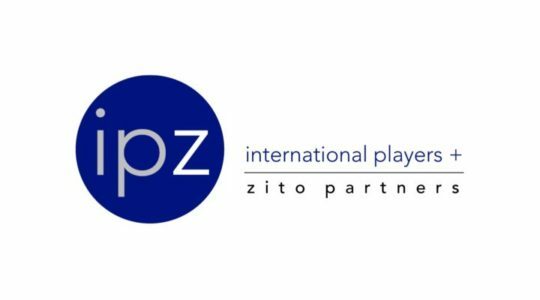 He will continue reporting to IPZ Managing Partner Robert Zito. Curtin was an All-American soccer player at Georgetown University, where he earned his B.S. in Business Management. He was the 14th overall selection in the 2006 Major League Soccer Super Draft. In his first year with the Chicago Fire, he was a member of the Fire team that won the U.S. Open Cup. Following two seasons with the Fire, Curtin moved on to D.C. United before injuries ended his career. Curtin’s passion for sports never ceased, as he conducted both coaching and training clinics for numerous top level youth clubs, including the youth development programs of the Chicago Fire and Philadelphia Union. WARREN, NJ, January 31, 2017 — Billy McConnell, a top defender for the Indiana University Hoosiers soccer team the past three years, has chosen InterperformancesUSA (IPZ) for representation, the company announced today. McConnell is a 5-foot-10 defender from Richboro, PA and led the Indiana defense that posted 11 shutouts in the 2016, a Big Ten best. Also during his senior year, he scored the game-winning goal on a header against #23 Akron in the NCAA Tournament. McConnell tallied three goals, two assists, and 10 points to go along with a shooting percentage of .429. The Hoosiers ranked as high as #4 during the 2016 season. In McConnell’s junior campaign, he started all 21 matches, which included 10 shutouts. He was named to the Mike Berticelli All-Tournament Team in 2014. Going into his first year with Indiana, McConnell was named to the Top Drawer Soccer Preseason Best XI Freshman Team. WARREN, NJ, January 23, 2017 – Jack Elliott, the Philadelphia Union’s fourth pick in the 2017 MLS draft, has signed with InterperformancesUSA (IPZ), the company announced today. The London, England, native towers over his competition standing at 6-foot-5. Elliott was a center back and defensive midfielder for West Virginia University and he missed just one match in his four years with the Mountaineers. During his senior year, Elliott led a WVU defense that posted eight shutouts, and he was named to the All-Great Lakes Region First Team by the National Soccer Coaches Association of America (NSCAA), as well as the All-MAC (Mid-American Conference) Second Team. In addition to his on-the-field success,  Elliott excelled in the classroom posting a 3.96 grade-point-average which landed him three Academic All-American honors. He was the first WVU men’s soccer player to achieve this feat. Watch Elliott’s highlights from 2015-2016 here.